Members of the Marion Chamber of Commerce were asked to submit nominations in November for the Lifetime Achievement Award. Nominations were sought for individuals who have demonstrated dedication and achievement in a professional capacity for 30 years or more. The Lifetime Achievement Award finalists and winner were selected by the Marion Chamber of Commerce Awards Committee. Information about the finalists is below. Born in 1947 to Howard and Imogene Byassee, James Henry grew up in Creal Springs, Illinois. He played basketball with his Uncle Guy "Pete" Peterson as coach, and took piano lessons from his Aunt Yolonde, sang in school and church and played several instruments in the band. His family moved to Marion before his freshman year. He joined Choir his senior year and was the lead in "South Pacific" his senior year - that was the first time Linda saw him, and she remembers him singing "Some Enchanted Evening.” He worked several jobs, including being a carry out at Bay’s Grocery, driving a truck for the Byassee Oil Company, working construction at L.D. Fern Construction during and through college. James graduated from SEMO in 1969 with a B.S. in Education, emphasis on Social Studies. He began his teaching career in Benton, Illinois, and later moved to Marion, teaching at Logan School and later at Junior High. He married Linda Pinson in April 1971. 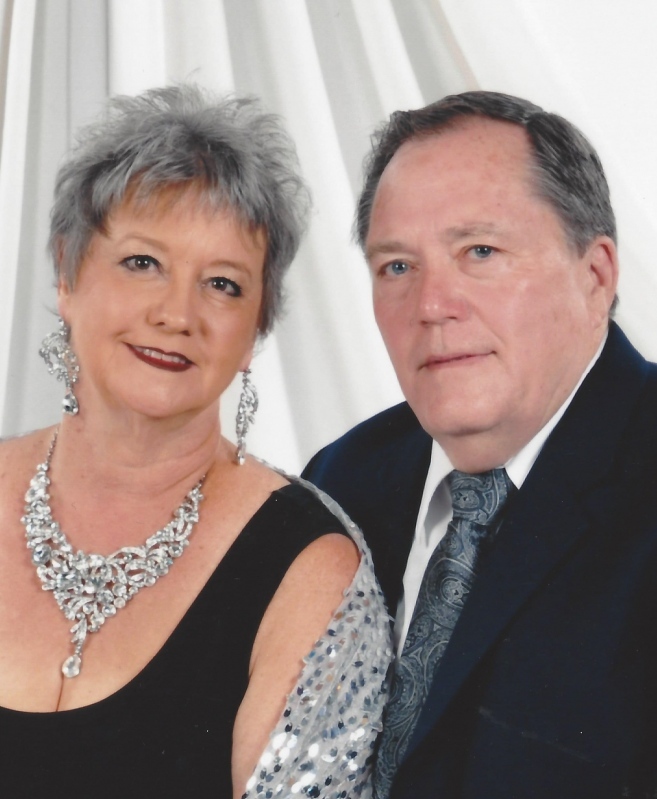 James became a father in 1972 to Elizabeth Susan, and, realizing that his family could not prosper on his $19,000 teacher's salary, Jim began looking for business options. After contemplating going into solar heating, someone suggested that he do something that he actually knew something about: MUSIC! So Jim learned to tune pianos. The young couple bought a $69 tent and a Ford van, and began going to fairs and street sales over Southern Illinois selling Zachary Chord Organs. Two more daughters were born: Amanda Yolonde in 1975, and Margaret Loraine in 1978. In the fall of 1977, he borrowed $10,000 from his parents to buy his first load of pianos and established Byassee Keyboard Company – and paid it back 6 months later. After starting out in the Citadel building (now kitchen area), the new business moved to 521 West Main Street, where the business grew to be the largest full line music store between St. Louis and Nashville – more than 34,000 Sq. feet. During this time, Jim grew a rental fleet of more than 100 rental pianos, guitars and band instruments and provided teaching facilities for thousands of students over the years. He gave loans to musicians who had no credit and job experience to many who needed a place to fit in. He donated, instruments, time, and equipment to educational facilities, churches and the Marion Cultural and Civic Center and sponsored many local events. Jim continued to be the chief operator of Byassee Keyboard, moving pianos, repairing instruments when needed, and managing the store. During those years, he loved the challenge of the banking industry. He served on the board of Peoples Bank in the '70s and 80's and was an organizer of South Pointe Bank in 1988. He even kept the store open when the roof blew off in the May 8, 2009, storm. Even though Byassee’s has a new owner, Jim still serves as consultant to Matt Throgmorton. For the past 18 months, he has been actively involved in his daughter’s, Amanda Byassee Gott, campaign for Circuit Judge; serving as treasurer and parade driver for her campaign. He jokingly says he is GUS (Grandpa’s Uber Service) for the grandkids and family that constantly needs a lift. Jim is rock steady and always ready to help someone in need. 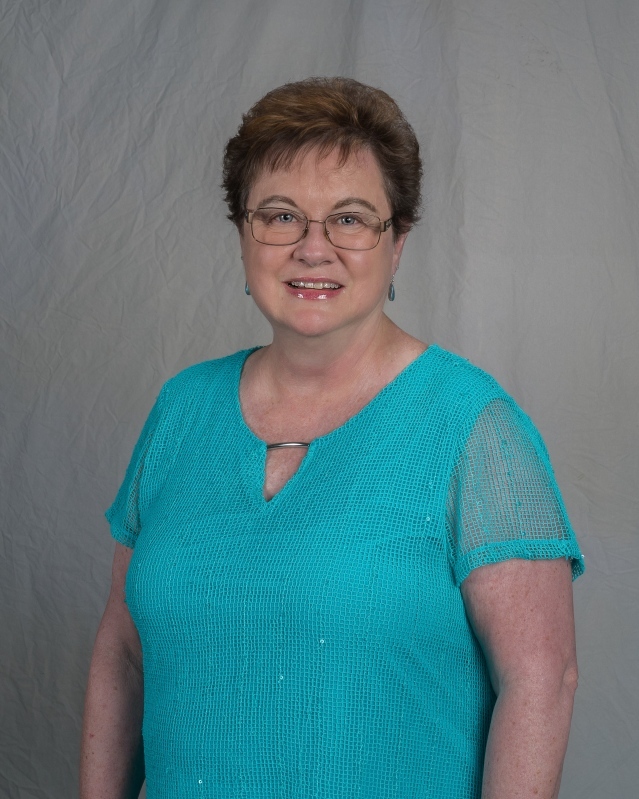 The youngest daughter of Loren and Jewell Pinson of Marion, Linda has been involved actively in as many opportunities in which she could participate all of her life. As a child, she was a Girl Scout, 4-H member, Church Choir member and earned her nine year attendance pin at Warder Street Church, where she sang solos from the age of seven as her sister, Sharon, played the piano. She first saw Mrs. Yolonde Peterson at the “Music Under the Stars” at SIU as a sixth grader and was mesmerized with the glamour of music. As a seventh grader, she saw her first high school musical, and vividly remembers as Emile De Becque (James Byassee) walked onto the stage and began singing “Some Enchanted Evening.” From that moment on, she knew that music would be the key to her life. She began learning to paint stage sets under Audrey Ashley in 1968, and made costumes for My Fair Lady. In 1970, MHS Sound of Music, she designed sets, made her costumes, and starred as Maria. Jim Byassee made a point to congratulate her on her performance and the rest they say is history. Jim and Linda were married in 1970. She was a devoted young mom to Elizabeth, Amanda and Margaret, and is still proud of the achievements of her daughters today. She earned a B.S in Elementary Education from SIU in 1974. She taught piano lessons at home, and later at Byassee Keyboard, where she was bookkeeper and in charge of marketing and ad designs. She taught organ lessons and led the Organetts Club. As Chairman of the Downtown Merchant Association, Linda designed and installed the first manger scene on Tower Square Plaza. During those years, she raised their daughters and supported them in many extracurricular activities, including designing costumes, painting sets, writing madrigal scripts, decorating for school events for MHS and MJHS - which she continued as a volunteer until 2010: a total of 43 years. Her artistic side needed the fulfilment of other avenues of expression, so in 1992, Linda offered to take Jim’s place on the MCCCF Board and in 1992, was elected President of the Marion Cultural & Civic Center Foundation. She served in that capacity for 16 years, raising more than $500,000 during that time for the renovation and later to aid in the rebuilding of the Center, which was destroyed by fire in 1997. In January 1999, Linda was awarded the 1998 Citizen of the Year Award by the Chamber for her efforts with the Civic Center. In 1998, realizing the need for professional event services, Linda opened Dreams Do Come True, and was certified as a Wedding Consultant. Linda has continued in this capacity for 20 years, serving hundreds of brides across Southern Illinois. She expanded her business into rental and event décor, and still continues at the present. DDCT provides décor, flowers, and linens for many events; with Linda donating her time to organizations such as the FOP, City of Marion, and the Chamber event decorating team. In 2012, Linda became Director of the Miss Southern Sweetheart Pageant, a Miss America Preliminary. She was able to accompany her past queen, Crystal Davis, to Miss America in 2015, where Linda discovered a new makeup company. Linda joined as a presenter with Younique at that time, and is recognized as a Green Elite Presenter, a status of which only about 3% of presenters achieve. You may see her sometimes crazy videos live as Lash Lady Linda on Facebook. Currently, Linda is a member of the Marion Woman’s Club, the Recording Secretary of the Williamson County Republican Women’s Club, and has served as event planning, graphic designer, and volunteer these past few months for their daughter’s, Amanda, campaign for Judge. Both Jim and Linda are proud to support their accomplished daughters and their families, and are proud of their seven grandchildren. Cathy Moehring, Centerstone’s Vice President of Quality Improvement, retired at the end of 2018 after nearly 40 years of service. Moehring was recently awarded the Frank Anselmo Lifetime Achievement Award from the Community Behavioral Health Association. CBHA Board of Directors initiated the Lifetime Achievement Award in 1993 to recognize individuals for their dedication and lifelong commitment to the behavioral health field. To Moehring, being recognized by the Marion Chamber of Commerce as a nominee for the Lifetime Achievement Award is an honor. “I am very grateful and truly humbled by this nomination,” Moehring said. The first Lifetime Achievement Award was given in 1985 to August L. Fowler. Last year’s recipients were Admiral Nancy Brown and Fred Monroe. Past winners of the Lifetime Achievement Award can be viewed at www.marionillinois.com/award-winners. The sponsor of the Lifetime Achievement Award is US Bank.